The autumn comeback of the post-traumatic bluesmen could not happen anywhere else than in Expirat. 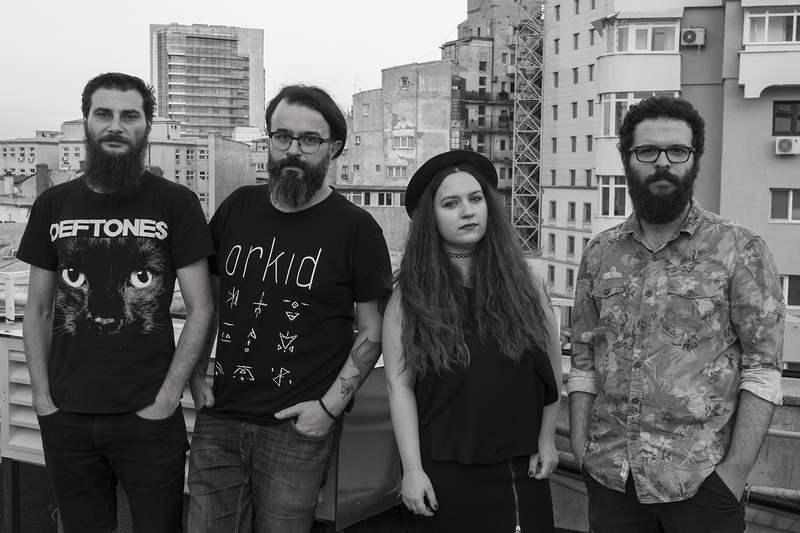 Orkid is a crazy bunch of angry shoegazers that share a great respect, admiration and love for all the beasts of the world, particularly for the sea monsters. The Bucharest based quartet is on a continuous and never ending quest for improving the means of communication between marine, terrestrial and extraterrestrial life forms. After a long summer break on which we worked on our future releases, with a new groove, new sounds and new songs (two of them in Romanian), this will be the gig introducing our latest asset, the Lady Ork, the riff which, Delia Poparad – our new guitarist and partner in mischiefs. We also dedicate this concert to our colleagues and friends of Animest IAFF, due to the fact that this will be the last edition for Vlad and Radu. Also available on Spotify, iTunes, Apple Music, Google Play, Amazon, Pandora, Deezer, Tidal, Microsoft Groove, ClaroMusica, Saavn, MediaNet.